Praise, Gratitude, & Joy – The new Praise, Gratitude, & Joy seeks to encourage, enlighten and convince today’s mature woman of a fundamental fact: “You are never too old to become what you were meant to be.” God had a plan when you were formed. Retirement in today’s society happens long before we have reached the end of our potential to serve the Lord. This is My Favorite Scripture…What’s Yours? Hi, and welcome! A little bit about me. I am a Jesus Girl, saved by the grace of God, and forever grateful for His gift of Jesus Christ and His unending love for me. I am so very glad you have chosen to spend time with us. Below you can register to become a part of Praise, Gratitude, & Joy. When you register you will receive a gift I designed and created just to let you know how special you are and how delighted I am you are going to be a part of this journey. 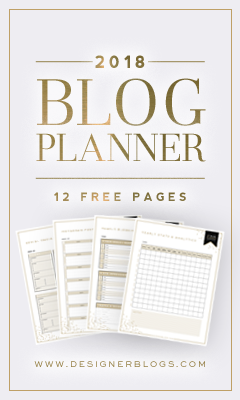 I love this planner by Designer Blogs. The forms have helped me so much in getting things organized for my launch. They have saved me hours of work and frustration. This summer, twice in only three days, we learned of the tragic suicides of two well-known celebrities. Please know I am always here if you need to talk. Also, I wanted to be sure you have the National Suicide Prevention Center information available should you, or someone you know need to reach out. The National Suicide Prevention Center Hotline is open 24/7. 1-800-273-8255.